How do you stay organized for your blog and other work you do online, especially while on the road? What made you decide to go for your dream of traveling and to not worry about how it would work out? 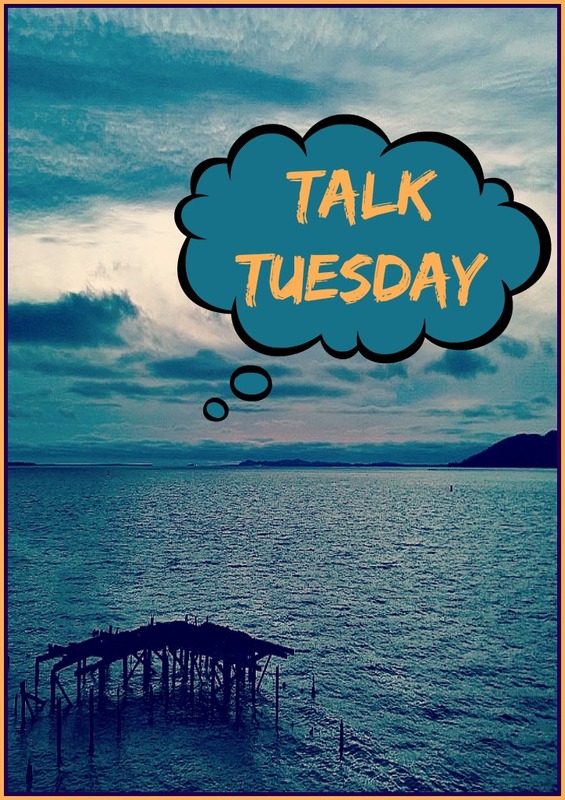 This is the second installment of Talk Tuesday. Did you miss last week? Check it out here. I was happily surprised to see it was one of my most viewed posts! I collect the questions people ask me and answer them weekly. Have a question for me about anything? Ask away in the comments below. I have a pretty extensive Excel spreadsheet. It lists out my deadlines for blogs I’ve sold and when others are due to online publications. I have a tab that I list out the blogs I need to write for that month for my own blog as well. I have another tab for blog ideas that come to me. Typically on long drives I brainstorm blog ideas and using talk-to-text, I can save them to my device for later. On the laptop that was stolen, all of my electronic files were very organized by date and category. This new laptop is still a big work in progress and I often feel as if I am no longer organized. It is very frustrating and time-consuming. Afraid and conquering my fears are two different things. I’m not often afraid of things anymore. I have been aware of when I am in situations that don’t feel right and make sure I have an action plan on what to do if something happens. I often will make contingency plans in my head on what to do in different situations. Say if I was personally attacked, how would I react? I earned my black belt when I was 23, many moons ago, but I do practice old moves often these days. Surprising what muscle memory is still there! As for fear… I try to think is it a rational fear or if I am just succumbing to fear of the unknown. Take driving the Cassiar Highway for example – I was terrified of that drive. It honestly wasn’t anything worse than what I have seen in the US. I was worrying myself sick over nothing. Before I did the 2013 trek I listed out all my fears and worked on each one. Now I am very confident woman and if something bad happens to me, I try my best to get back up. Sometimes that is easier said than done. I figured I could work in Phoenix just as easily as I could anywhere else I would find WiFi and electricity. I was pretty naive when I first started out. I ended up getting very hard on myself thinking I could do it all – travel, run, hike, write, camp, eat… you know all things I do in one day. I couldn’t. I failed. I had to start realizing some days I couldn’t write or run. Other creatives can understand this not being able to always write part. And well, I don’t always have access to a shower so I didn’t want to run and be stinky the rest of the day. When I lost my flower shop and got divorced, I walked away with $500 to my name. That’s it. I had hit rock bottom. I was 36 and broke with a broken heart. All my life things have knocked me down and somehow I get back up, shake myself off, and continue on. I have this inner spirit that is a fighter. I realize that life might not go according to the way I dream or might even want it to. So what am I going to do? Not get back up? Not.Gonna.Happen. I can quit this traveling bit at any time or never, for that matter. My life is not how I imagined it would be when I was a little girl – I am not married, I don’t have children, and I don’t have a home to call my own anymore. But I am the woman I had hoped I would always be – strong, independent, passionate, fearless, creative, loving, empathetic, and an adventurer. I never was one to do what others do… I was the one leading the others down the road less traveled. You are such an amazing woman! I feel that I could have been you but times were so very different when I was your age. Soooooooo I live vicariously thru you!